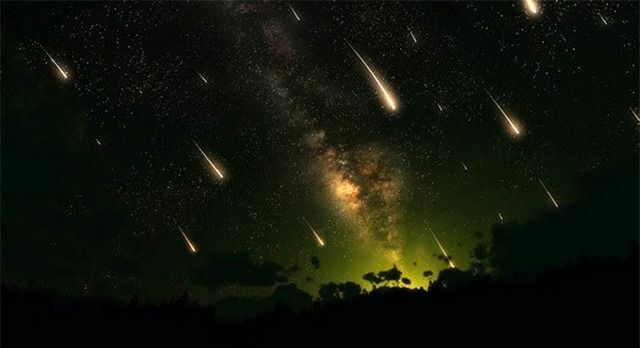 On our planet, we’re quite in luck if we see a few hundred meteors an hour during a meteor shower. But if you were on Mars about three years ago, nevertheless, you would have witnessed something extraordinary – 108,000 meteors per hour, the biggest meteor shower ever in recorded history on any planet. This meteor shower was a result of Comet C/2013 A1 (Siding Spring) zipping past the planet on October 19, 2014. We were lucky to have a spacecraft in circling the planet back then, and what they observed was unbelievable. Observations from the event were offered few days ago at the European Planetary Science Congress (EPSC) 2017 in Riga, Latvia. Siding Spring flew past Mars at a distance of 140,000 kilometers (87,000 miles), an occasion that’s believed to occur only once every 100,000 years. And as it did so, it left a track of debris that hit the Martian atmosphere. Observations by NASA’s MAVEN Orbiter show that there would have been 30 meteors per second in the Martian sky for up to three hours – or 108,000 meteors per hour. That is truly an incredible amount. On Earth, our record shower was probably the Leonids meteor shower in 1833, which saw 100,000 meteors per hour dazzle observers. Studying the event was somewhat difficult because it appears Mars was hit by an eruption from the Sun about 44 hours before the comet flew past. But MAVEN gathered enough data to reveal the biggest ever meteor shower in the Solar System. Meteor showers on Earth are caused when we fly through the debris trail of a comet. These happen on regular occasions, such as the Perseids every August from Comet Swift-Tuttle, or the Leonids every November from Comet Tempel-Tuttle. For Mars, this really was a once-in-a-lifetime event. 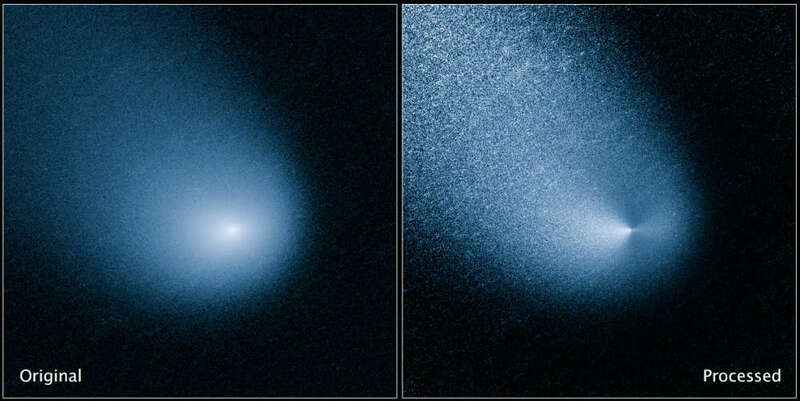 Siding Spring originated in the Oort cloud, a vast region of comets on the edge of the Solar System, and is now heading back in that direction. It will be millions of years before it comes past again. Maybe next time, we’ll be ready and waiting on the surface of Mars.